Sandra Nikolai graduated from McGill University in Montreal and worked in sales, finance, and high tech before devoting her days to writing. She is a member of Crime Writers of Canada and has published a string of short stories in addition to the Megan Scott/Michael Elliott Mystery series. 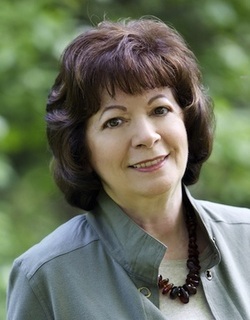 When not plotting mysteries, Sandra shares her thoughts and experiences about the writing world on her blog and has been a frequent guest writer on other blogs. She is currently at work on her next novel in the series. Montreal ghostwriter Megan Scott falls under police suspicion when her husband and a female companion are found murdered. In what a Québec detective calls a crime of passion, startling evidence surfaces to implicate Michael Elliott, a young investigative reporter who’d rather rub elbows with scumbags than live the posh lifestyle he inherited. A millionaire’s beautiful young wife. A homeless woman. A parish priest. Ghostwriter Megan Scott and investigative reporter Michael Elliott look for answers when their trip to this alluring New England town coincides with the mysterious deaths. After police question Megan’s cousin, a flower shop owner, in connection with one of the deaths, the investigation hits close to home. A fire at the shop, stolen documents, and blackmail threats prompt Megan and Michael to probe deeper. They discover ominous secrets buried decades ago and ruthless killers who won’t let anyone get in the way of revenge. The suspicious fire that destroyed the shed exposes a surprise corpse—not what ghostwriter Megan Scott and investigative reporter Michael Elliott expected when they reserved a cabin at their friends’ lakeside resort in rural Ontario. Fear overshadows their visit like a looming storm. Their friends are receiving anonymous threatening letters. An elderly resident is reported missing. Locals are wary. They aren’t used to outsiders snooping around town, asking questions.